Manchester United manager, Jose Mourinho, is ready to reunite with Mesut Ozil and will sanction a mega deal for the Arsenal playmaker, which will see him earn £250,000 a week. According to The Sun, United are hoping to take advantage of the delay in Ozil signing a new deal at the Emirates, to make a big bid for the 28-year-old next summer. The Gunners are reportedly offering the former Real Madrid midfielder £200,000-a-week, but an agreement has not been reached yet. 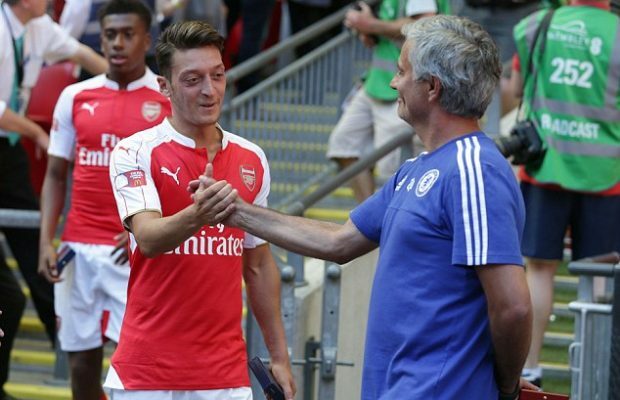 Mourinho and Ozil have a good relationship since their days at Real Madrid and won the La Liga title together in 2012. The Special One famously hailed him as “the best No 10 in the world”.